Sketchnotes inspire NONLINEAR THINKING and can INSPIRE others. Ideas come to us from multiple directions. Visualising all these multiple starting points help us “see” how and where we can apply logic to a problem. Ready to become a sketchnote ninja? Join us for an enjoyable workshop that will teach you a new way of note-taking! We offer 5 spots to Citizens for Europe members! How would you apply your learnings to develop your organisation? Please also share a few lines on your background and learning expectations. Both answers should not be longer than 600 characters each. This introductory hands-on workshop will help you start thinking in images. 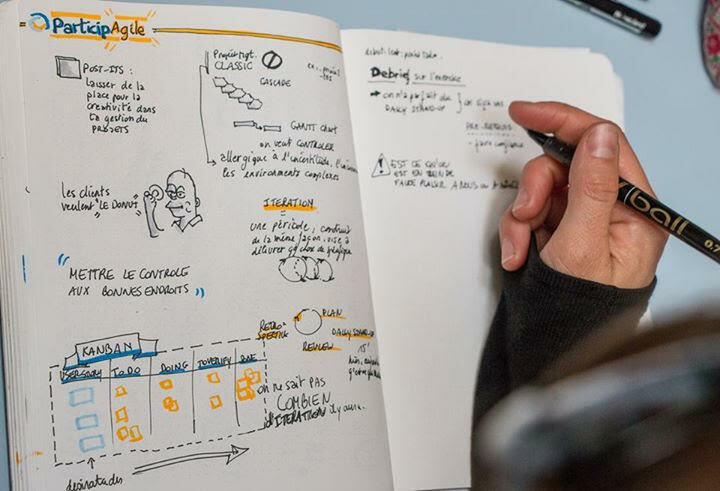 Through drawing exercises and practice, this workshop will extend your existing note-taking skills to enhance learning, remembering, creative thinking and communication. When your whole brain is engaged you create visual maps of what you hear, see and think. Sketchnotes promotes active listening, visual thinking and the expression of ideas through text and drawings. No drawing skills are needed. All you’ll need is a desire for learning and thinking creatively. In the classroom, at a conference, to communicate a complicated idea. Christopher Malapitan is a passionate sketchnoter and visual thinker with over 15 years experience as a commercial illustrator producing countless storyboards and visuals for TV/film and advertising. Through visual mapping techniques, Christopher helps storytellers, NGOs, creative curators, and various professionals to “see what they mean”.